Enjoy our 2015 Holiday Special! This past Saturday, Larchmont had its own Small Business Saturday to start off the holiday season. Rebecca Berman filed this report about the event, which helped Larchmont business owners to promote local holiday shopping. At the Village of Mamaroneck Tree Lighting Social on December 10th, Santa arrived in a classic convertible. Ashley Billone has the story. Light Up Larchmont, the Village of Larchmont’s holiday event received over 1,000 RSVP’s on Facebook. Over 500 free pictures were taken of the event and Rebecca Berman, who covered the event, said that was a never-ending line. People could choose the picture they wanted, and it would be sent to their email within seconds. If you couldn’t make it this year, there’s always next year. Jack Wells and Andrey Gordon went to Hanukkah on Ice and filed this report. The event was presented by the Mamaroneck and Larchmont Chabad Lubavitch and was held on December 13th. There was ice skating and snacks and a menorah made of ice which was lit with all eight candles to signify the last night of Hanukkah. Some people came in costume including Rabbi Mendel Silberstein who dressed as Judah the Maccabee. If you like watching our show, please support us by checking out our website at www.lmctv.org. We appreciate any contribution. We’re always looking for new interns and volunteers, so send us your emails to thelocallive@lmctv.org. We’d love to hear from you. On behalf of the Local Live and LMC-TV, we’d like to wish everyone a very Merry Christmas and a safe and happy new year. There’s a protest against KOSL Building Group regarding a historic house on 40 Ocean Avenue, Larchmont by residents in the area. The developer has already submitted plans to demolish the 120-year-old home to subdivide the property in four new homes. The Group, “Preserve Larchmont”, founded in 2013, have a mission to preserve and promote the historic traditions of the Village of Larchmont, collected 800 signatures to avoid the demolition of the historic landmark. As a result of increased applications to subdivide existing property in Larchmont and the collective opposition from residents to avoid the demolition, Village Administrator, Justin Datino, discussed this past Monday, that the Larchmont Board of Trustees is considering the enact of a new law. The Village of Larchmont is encouraging residents to attend a public hearing to discuss the new resolution of a possible moratorium regarding certain land use applications that will affect the present and future development impact in the community. The hearing will be held on January 11, 2016 at 7:30 p.m at Village Hall. Since 2009, the Village of Mamaroneck has tried to address parking on Mamaroneck Avenue. So far, parking has cost the Village around $15,000. The amount includes the cost of a parking study in 2013 and the cost of 18 unused parking meters. Both residents and business owners have opposed the purchases of license plate readers and pay-by-plate parking meters. The Village’s Board of Trustees formed an Ad-Hoc Parking Committee. The committee will propose recommendations for improving parking. Committee Chairwoman, Maria Derose, told the Mamaroneck Review, “We’re recommending the single-space meters because that’s what the residents, merchants and visitors of the Village of Mamaroneck want.” She estimated that the new meters would cost approximately $400 per unit, which would be $96,000 in total for the 240 meters needed for Mamaroneck Avenue. One feature of the new meters is a sensor that detects if the car has been moved and will then reset the remaining time to zero. The committee thinks that this would encourage turnover thereby helping merchants to bring in more customers. In our Round Table Discussion, Mike Witsch spoke with Sebastien Langlois, the founder and creator of the new app, Rive.World. The app helps you find out what’s going on in your community. In local sports this week, the Rye Neck Boys Basketball Team rallied from a 6-point 4th quarter deficit to force overtime against Martin Luther King. With time running out, sophomore, Aidan Heaton got the ball and one more chance to lift the Panthers to victory, which made our play of the week. Our pet of the week is Bitty, a charming male Lab-mixed breed. He is about 10 months old and around 35 pounds. He’s very sweet and friendly with other dogs and children. Not too sure about cats though. If you’d like to keep watching us on air, support us by checking out our website at www.lmctv.org. We really appreciate any contribution. Still looking for that personal touch for your presents? Last week, owner of “MADE”, Jamie Lynn, showed us a tutorial on how to create a “DO IT YOURSELF” card. On Tuesday, December 8th, County Executive, Rob Astorino, discussed proposals for the upcoming Westchester County Budget at the Nautilus Diner during the Larchmont and Mamaroneck Summit. At the end of his speech, protesters speaking out against the Algonquin Pipeline being built on the Indian Point property. Mr. Astorino apologized for the disruption. At the December 7th Board of Trustees meeting, Mayor Norman Rosenblum and Deputy Mayor Louis Santoro were sworn in to serve their new term. Zenai Lewis spoke with Rabbi Mendel SIlberstein from Chabad of Larchmont and Mamaroneck about a unique and fun Hanukkah celebration that will be held on Sunday, December 13th. For info on the event and Chabad of Larchmont and Mamaroneck, please go to their website, www.jewishlarchmont.com. In our Round Table Discussion, Mike and Maura spoke with Rotary Club District Governor Marilyn Maseiro to advise us about their mission and their latest international Polio campaign. The 5th Annual Holiday Arts & Crafts Fair was held on December 5th and our own Justin Ratchford covered the event with artisan interviews and displays. Jamie Lynn, the owner of “Made”, gave a tutorial about creating “do-it-yourself” holiday cards. Our pet of the week is Zena, a female black Cocker Spaniel mix puppy. She is about 5 pounds and is 11 weeks old. She’s affectionate and will make you smile. She loves people and other dogs. For more information, please go to www.ny-petrescue.org. If you like this show and want to help keep us on air, please support us by checking our website, www.lmctv.org. We appreciale any contribution. And we’re always looking for new interns and volunteers. So send your emails to the-local-live@lmctv.org. We love hearing from you. There was some controversy at the latest Village of Mamaroneck Board of Trustees meeting. The topic of discussion was a resolution that will change policies and procedures regarding the mayor’s powers. The final decision was voted 3 to 2 with the Democratic majority voting for the mayor’s ability to set the municipal meeting agenda to be transferred to the village manager. This past Tuesday, the League of Women Voters held an open discussion about saving the historical buildings of Larchmont and Mamaroneck. The panelists were Lynne Crowley from the Larchmont Historical Society and Donald March, the Town of Mamaroneck Historian. Did you know that the firehouse on Mamaroneck Avenue is part of our community history? The entire Village of Mamaroneck Board of Trustees meeting and the lecture is available online at www.lmctv.org. And if you want to share the Youtube link of the lecture, you can find it on LMCTV’s Youtube channel, LMCTV Productions. Larchmont firefighters Richard Valentine and Sean Allen gave us details about Light Up Larchmont, an event that has over 1,000 RSVP’s on Facebook. The event will be held Saturday, December 5th from 3:00 p.m. to 6:00 p.m at Constitution Park. Admission is free. There will be pictures with Santa, live music from local choirs and bands courtesy of the Larchmont Music Academy, holiday crafts, and light refreshments. All children who attend will be entered to win various gift certificates to local businesses. In addition, the French-American School, which is across the street from the park, will be hosting their annual holiday fair. Everyone is welcome! The tree lighting itself will be at the Larchmont Fire House at 120 Larchmont Avenue. Sandy Korkkatzis, the Superintendent of the Village of Mamaroneck Recreation Department invites everyone to the Annual Tree Lighting Social . The event will be held Sunday, December 6th from 4:00 p.m. to 6:00 p.m. at Harbor Island Park in the Stephen E. Johnson Beach Pavilion. Admission is free. There will be live music, light refreshments, holiday ornament crafts and photos with Santa and Mrs. Claus. The Local Live has regionally recognized by the Alliance for Community Media. The organization represents over 3,000 public, educational and government television stations and community event media centers throughout the nation. We are very proud that the Northeast Region Annual Conference at Hartford, Connecticut invited our producer, Sheyla Navarro, to participate at the Community News Workshop. 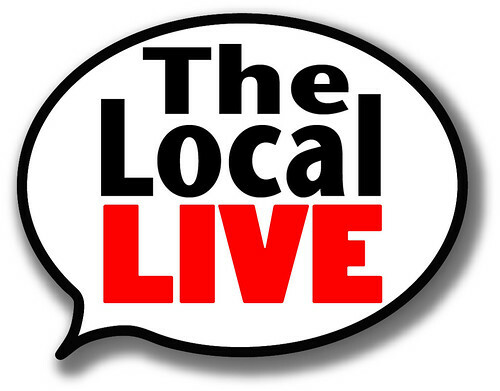 In the New Year, the Local Live will be reaching our 100th episode. We want to ask our viewers who enjoy watching us every week to help us stay on the air. With your help, we can continue to bring you news and information regarding our local communities. Please help in anyway you can, by going to www.lmctv.org. We appreciate your support. In the Round Table Discussion, Maura Carlin and Mike Witsch spoke with Chari Topol-Allison from the Village of Mamaroneck Arts Council and Michele Gotfredson from the Bullseye Resource Center regarding the 5th Annual Village of Mamaroneck Holiday Arts and Crafts Fair. The event will be held Saturday, December 5th from 10:00 a.m. to 4:00 p.m. in the Mamaroneck Library’s lower level (the Emelin Theater entrance). Local artisans of all types will be selling their merchandise. Items being displayed include jewelry, clothing, handmade soaps and candles and original artwork. Please come by and support our local artists.